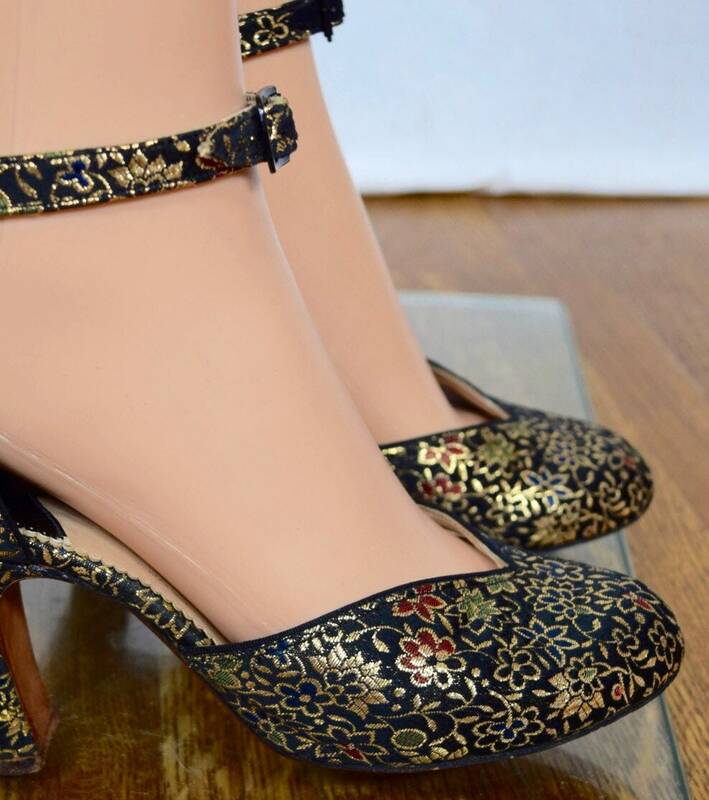 Black silk with metallic Asian floral brocade pattern. Comes to a v-shape at the instep and just have an overall beautiful shape to them. Buckled in the middle, I love that about shoes from this era! No stains or damage, a tiny bit of wear to the straps but nothing noticeable, very normal from wear and age. They are light weight and extremely well made. Condition: Excellent and in amazing condition for their age. The soles and heels do NOT show much wear, adhesive is strong, the inserts were unglued so I did have my shoe cobbler glue them back to preserve the brand label and they are soft leather since they are old, which is nice. 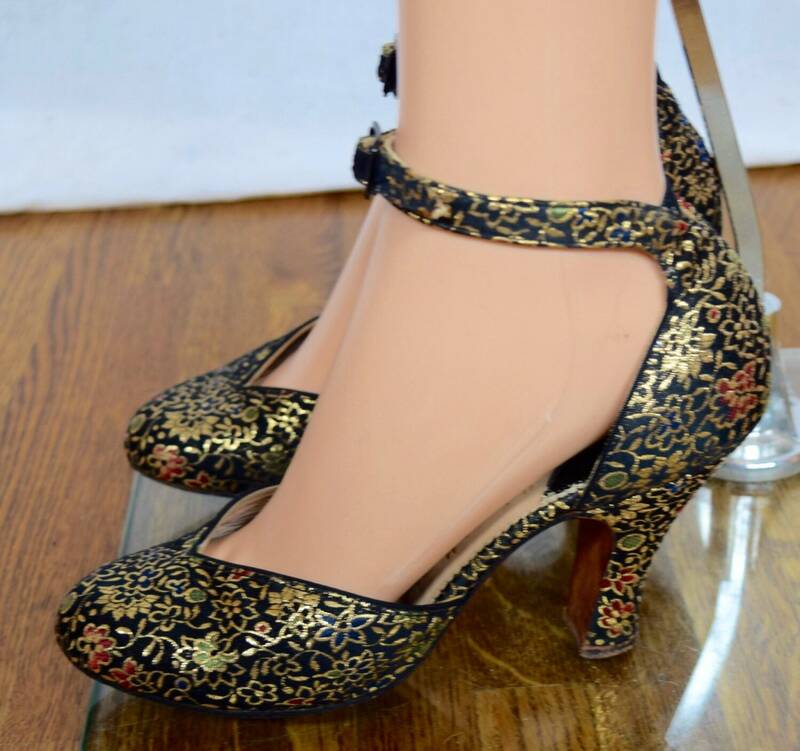 Size 6 or 6.5 U.S. - They are labeled a 1940's size 5.5 however I wear a size 6.5 or 7 and these shoes fit me perfectly. ** They will not fit a modern size 5.5. 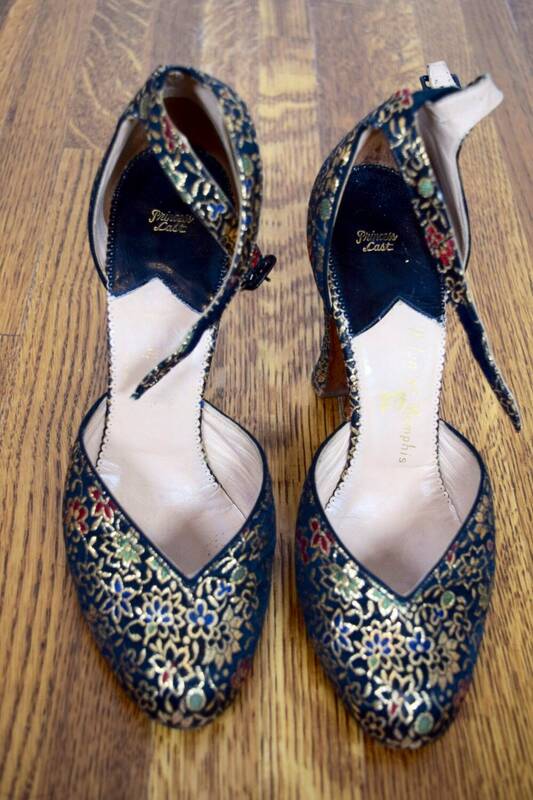 When I buy 1940's shoes for myself, I take a size 5.5. Send me measurements of your bare foot and I can help make sure they will fit if you are not sure. My boyfriend said these shoes looked gorgeous on me when I tried them on! They are very special!! !